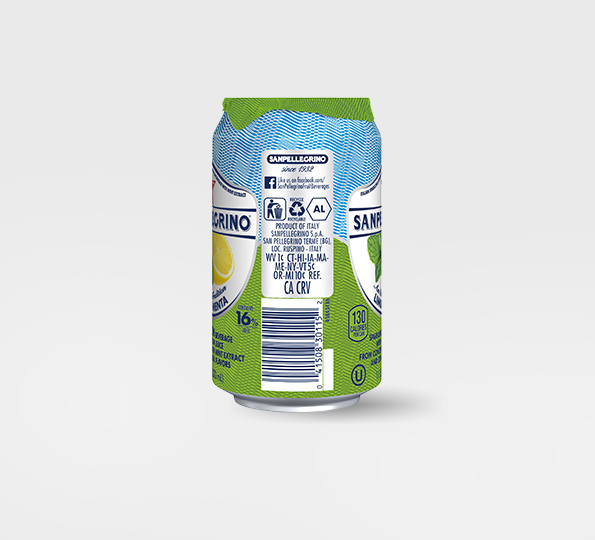 Sanpellegrino Limone e Menta is an enlightening combination of zesty lemons and aromatic mint for those who like tradition with a twist. 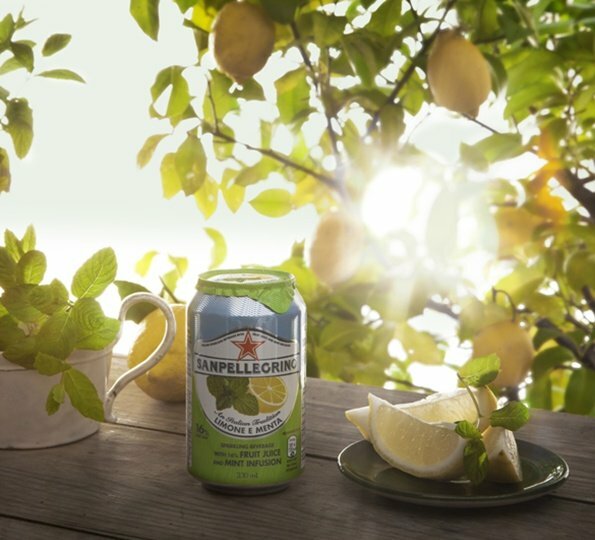 Sun-ripened Mediterranean lemons lend their natural opaque yellow color with a light carbonation that gives it the perfect refreshing effervescence. On the nose it’s a delicate affair, with the intense aroma of juicy, picked lemons that are tinted ever so slightly with the familiar scent of mint. A medium sweetness tickles your tongue but engulfs with the flavor of tasty lemon, all to aperfect balance between sour and sweet. Light undertones of mint follow throughout from the beginning to the end. 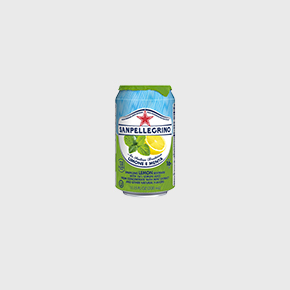 Open up a Limone e Menta to feel the Mediterranean summer, grab a pizza with mortadella, and make it an occasion with some friends. 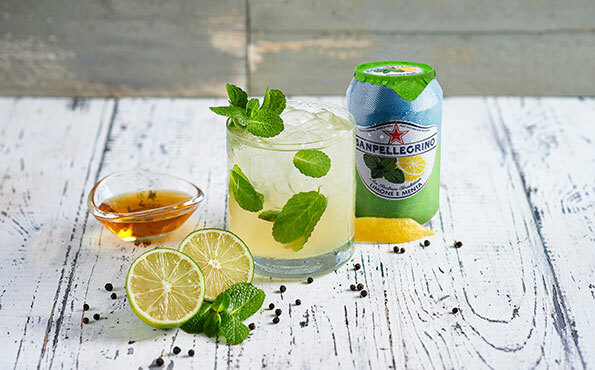 Always serve chilled, ideally at 35-40° F and garnish if you wish with a lemon slice or peel, along with fresh mint. 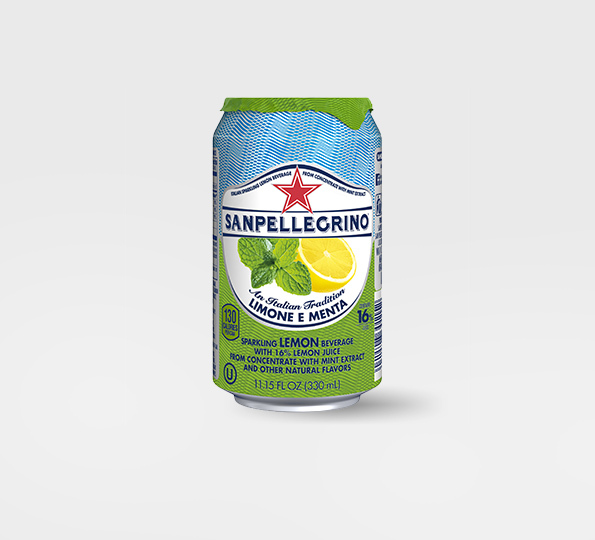 Pink peppercorns are also a great match for the zesty flavors of Limone e Menta. 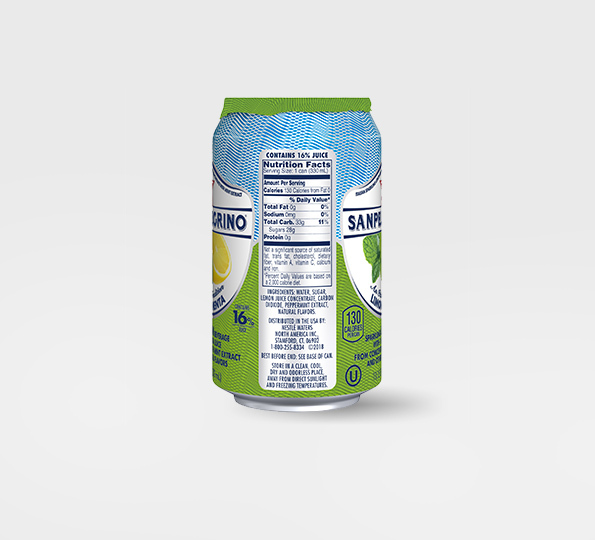 Water, Sugar, Lemon Juice Concentrate, Carbon Dioxide, Peppermint Extract, Natural Flavors.